UPDATE: I had updated this script (updated link in the comments below), but had not updated the post with the new script. This has been done. Disclaimer: This post references PowerShell XenApp Commands that were released as a technology preview for XenApp 4.5/5.0. I have not tested the script against the XenApp 6 which uses a different version of these XenApp Commands. We are in the midst of architecting a new Citrix environment where I work and we are taking advantage of this to review everything we have done before and changing it if needed. We’re also attempting to document every facet of our new environment which includes, Provisioning (DHCP), XenApp, XenServer, XenDesktop, AppSense, Netscalers, Web Interface, and MS App-V.
For this post, I’m providing a PowerShell script I modified from Kent Finkle that will capture a Citrix Policy and what it’s applied to in a Word document. The script will also export the Citrix policy and its filter (what it’s applied to) to 2 XML files that can be used to recreate or restore the configuration if it’s lost. NOTE: This script assumes that the XenApp PowerShell Commands are installed on the server you’re running the script from. 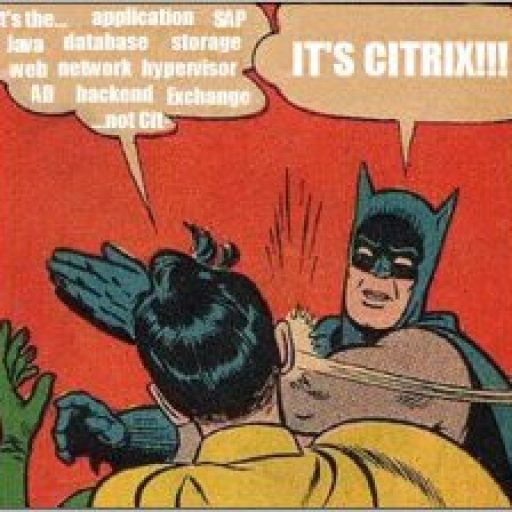 You can download them from www.citrix.com. 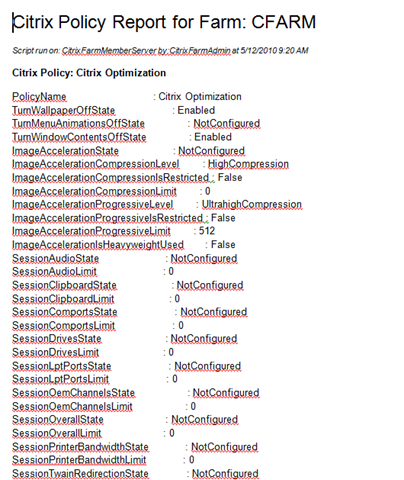 # COMMENT: Output a Citrix Policy to a Word document. #                  automatically save and close. $polname = Read-Host "Enter a Citrix Policy to create a report and backup"
$b = get-date -uformat "%m%d%Y"
The intention is to run this script periodically to provide documentation and a backup of all the policies applied to a farm. I encourage you to explore the PowerShell commands provided by Citrix. You will be able to document every aspect of your farm and also have an easy way to backup/restore the information as needed. Thank you for the revised script…much appreciated! I have Xenapp powwershell commands installed. I originally wrote this script while working with the XenApp Commands technology preview for XenApp 4.5/5.0. I do not know if it works with the Cmdlets that came with XenApp 6. That being said, I’ve revised this script to use a more generic App-PSSnapin command to load the XenApp Cmdlets. I’ve also added a couple of lines to list the current Citrix policies in the farm and then prompt the user for one to run the script against. I’ve also changed some of the Word commands to automatically close the document with the correct name (note: it will overwrite an existing document). I got the modified Word actions from Mark Alexander Bain in his post here: http://command-line-programming.suite101.com/article.cfm/how_to_create_a_word_document_with_powershell. You’ve done it again. Superb read!